Students of the College of Engineering, Design Art and Technology on the 28th of February 2019 came together to compete against each other in sports in the CEDAT Sports Gala. The gala had indoor and outdoor games on both days. 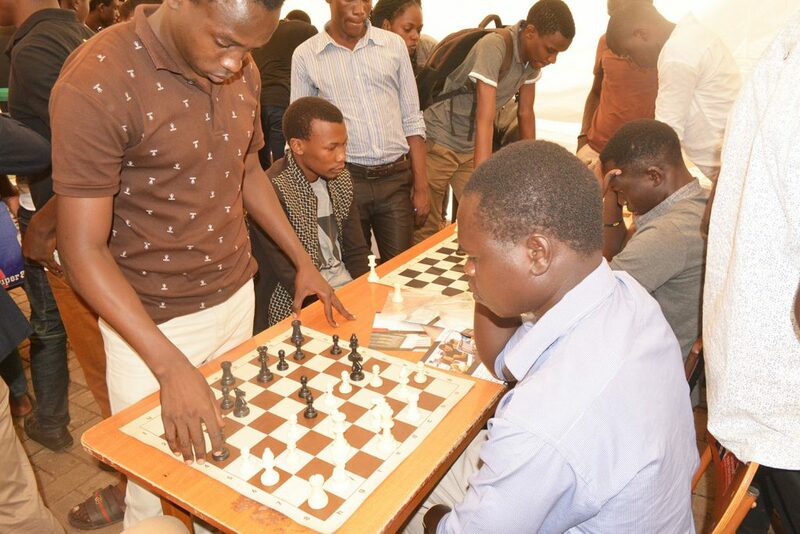 The indoor games included chess, darts, pool and scrabble and video games while the outdoor games included football, volleyball, netball, basketball and athletics. The Gala was organized by the cabinet of Makerere Construction Management Association. Ethel, the speaker of MAC said that the gala was envisioned by MAC and initiated as a way of bringing students from different courses together so that they can socialize and have fun other than only interacting in class. She said she hopes that through this gala, the gap between different professions at the College may be bridged so that harmony and cooperation can be encouraged among the students. The associations were grouped into two, played group stages and the top two in each qualified for semifinals. The winners of this stage proceeded to the semifinals from where the finalists would emmerge and then the winner for the sport. Group A had MAC, MUPPA AND Makerere University Fine Art Students Association (MUFASA) while group B had Makerere Engineering Society (MES), Makerere University Architecture Students Association (MASA) and Makerere Association of Surveying Students (MASS). The overall winner got 25 points, the 1st runner up got 15, those that didn’t make it past the semifinals received 10 points each and the rest received 5 points for participation. MES emerged as the winner in football beating MASS 5-4 on a penalty shootout. MASA beat MASS on the volleyball final while in basketball, MUFASA emmerged winner after beating MES in the final. The winners of the indoor games were awarded points and these were added onto the points attained from the outdoor games. The overall winner of the CEDAT Sports Gala this year was the MES with 126 points while MASA came in second place with 117 points above MASS with 116 points. MES was awarded a goat, which they roasted and shared in celebration of their win.